If you'd like to hear those mice crawling around in the walls, the Rechargeable M-7 Secret Agent Spy Ear is for you. Its earpiece is designed for stealth, letting you listen in on conversations across the room undetected. Just pop the wireless device into your ear and somehow you can hear better than ever. Perhaps a hearing aid might do the same thing...? Maybe so, but it won't cost any $79.95 like this does. 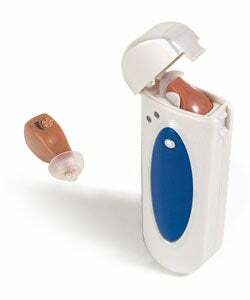 Anyway, both the earpiece and base unit are rechargeable, able to give you hours of snooping hijinks. Just don't be disappointed when you discover those people across the room aren't talking about you.